The original structure was erected in 1897. This was a wooden sub-frame clad with corrugated iron and was called the Iron Room. In 1944 it was decided by the Trustees to apply for Charitable status. It was to be used as a “Parish Room/Village Institute for the purposes of physical/mental training, recreation, social, moral, and intellectual development. For the benefit of the inhabitants of the Parish of Chaddleworth and its immediate vicinity”. It was accepted as a Charity on the 31 July 1945. Historically, the Village Hall was used for a variety of events. There was a Men’s Club, the WI and Mothers Union also used the Hall, dances in conjunction with RAF Welford were held there. Before the advent of the current Cricket Club the cricket field was just beyond the old Vicarage and teas were provided in the Village Hall. It was also used for the annual school concert. Since the Second World War and the advent of the welfare state (full free education, national health service) the Village Hall has developed into a meeting place for village events. 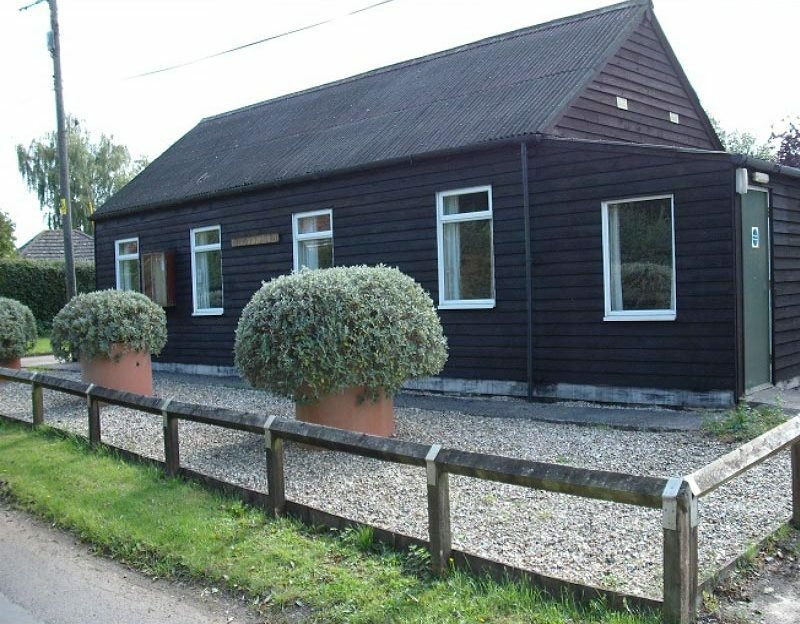 The Chaddleworth Village Hall is a charitable community hall run by a management committee representing users and elected members of the public, who are the managing trustees of the charity. In 1996 the Hall underwent a major refurbishment costing £36,000 to include replacing sub-frame, re-cladding the entire outside with new wood, replacing the roof, toilets, kitchen, windows and doors. In the last three years a new heating system has been installed, re-insulation of the roof void, a new floor and a new kitchen all financed by local grants, the 100 Club and donations. The Hall is hired by a range of voluntary organisations, private individuals and statutory organisations for a variety of activities, some of which are licensable. Non-licensable activities include: Parish Council meetings, Village Hall Committee meetings, Downlands Gardening Club, Bingo, Bring-and-Buy, Parliamentary and Local Elections, MacMillan Coffee Mornings, Jumble Sales, Cricket Club meetings, Private functions (weddings, parties etc.) and ad-hoc meetings. Licensable activities typically include: playing amplified or live music at concerts or discos, singing and/or dancing in connection with club performances, fundraising events such as dances, discos, suppers, festivals and fetes, youth club activities, amateur dramatic performances, performances by visiting musicians or theatre groups, film shows for children and/or adults and occasional private parties or wedding receptions with bars. The 100 Club was set up to support the Village Hall in its on-going maintenance programme. So far the 100 Club has supported the replacement heating system, the floor and insulation of the roof and continues to provide much needed income for the Village Hall. Half of the membership fee (£2 a month) goes directly to support the Village Hall and the other half goes into a prize fund which is drawn once a month. The Hall has a car park, heating, a kitchen, tables and chairs, toilet facilities including disabled. The Premises Licence permits 65 seated or 100 standing.